It’s nice to see the over wintering garlic coming through. 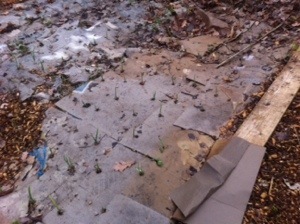 The onions have yet to start coming through; but the garlic is all on track. It’s great to see stuff coming through, particularly at this time of year, isn’t it?